Science4Us is delighted to announce that they are the proud recipient of a 2016 CODiE Award from SIIA Education. SIIA has been acknowledging product excellence for more than 30 years and delivers the premier awards for the best software and information in the industry. Science4Us was honored for the Best Science Instructional Solution over many other strong science education programs. Along with their sister company, VocabularySpellingCity, Science4Us was among 160 finalists across 29 education technology categories. Read here to learn more about the importance of STEM education for early learners. The top honor of the overall Best Educational Product will be announced at the Educational Industry Symposium in Denver on July 26th. See the amazing moment captured here! Science4Us is a standards-based, digitally-delivered science curriculum for kindergarten, first and second grade students. It’s flexible delivery methods allow students to use Science4Us in whole group, centers or even 1:1 with an iPad. Students love the 350 online, interactive activities that help them learn foundational science concepts. Teachers love that the resources contain multiple opportunities to enhance literacy and math skills. In addition to the online activities, there are over 1,000 offline activities that allow students and teachers to use manipulatives in hands-on investigations while other offline activities provide opportunities for writing words, sentences and even sometimes writing short paragraphs. 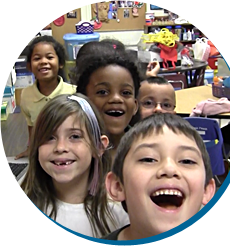 Science4Us uses the 5-E Model to deliver science concepts to kindergarten, first grade and second grade students. Therefore, students are able to begin a science lesson with an “Engage” activity that accesses prior knowledge, a perfect way to start a new science idea. After the Explore, Explain and Elaborates, students can be Evaluated to see what science objectives have been met. Teachers have access to reports which allow them to review students’ progress throughout the program. This way, teacher and administrators will be able to see how their students succeed with Science4Us.